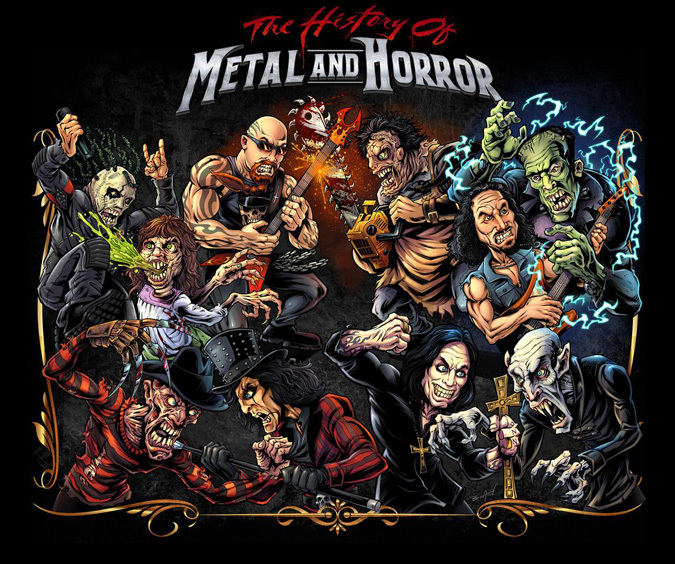 Producer of "The History of Horror and Metal"
Throughout the years, heavy metal music and the horror genre have shared a very symbiotic relationship. In the early 70's, Alice Cooper began including horror and theatrical elements such as fake blood, the use of a guillotine, and an electric chair in their stage show. Since Cooper's brilliant decision to incorporate those elements to their shows, countless bands have taken that idea and expanded on it and made it even more gory and bloody. Then you have bands like Goblin, who in the 70's and 80's provided the soundtrack to several Dario Argento movies. Anima Morte is a current outfit that creates music inspired by horror; songs that offer that special ambience of dread and fear. Add to all this the myriad of songs that reference and borrow from horror movies as well as albums that are purely dedicated to specific films and the genre itself and it's easy to see why this marriage has been so perfect and lasted so long.